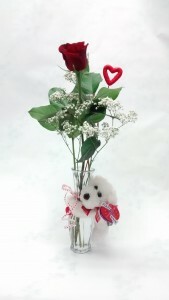 Regular Red Roses, Babies Breath, Long Red Rose, Of Babies Breath, Regular Roses. 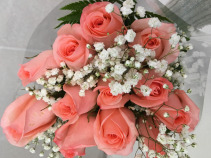 We would be happy to customize a hand tied bouquet with your choice of seasonal flowers and colours to suit any occasion. 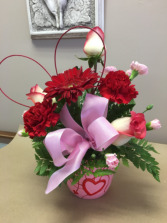 Give us a call or order online today. 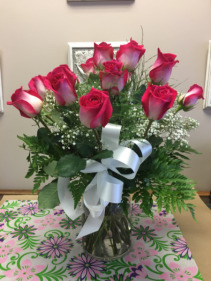 A dozen roses with baby's breath available. Please specify your first and second colour choice. These are our in store prices. For delivery you must choose the boxed option for $10 more. 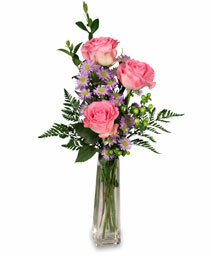 $45 are regular length and $65 are long stem. 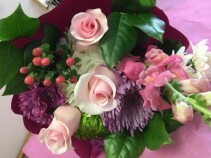 Choose any colour of Rose for a special gift.